This is gorgeous Sylvie. I love the image, pretty papers and fabulous layout too. Just love those bright colours Sylvie. It's a beautiful card that really catches your eye. They highlight your pretty image so well. A very pretty card Sylvie. Love the flowers and colours. 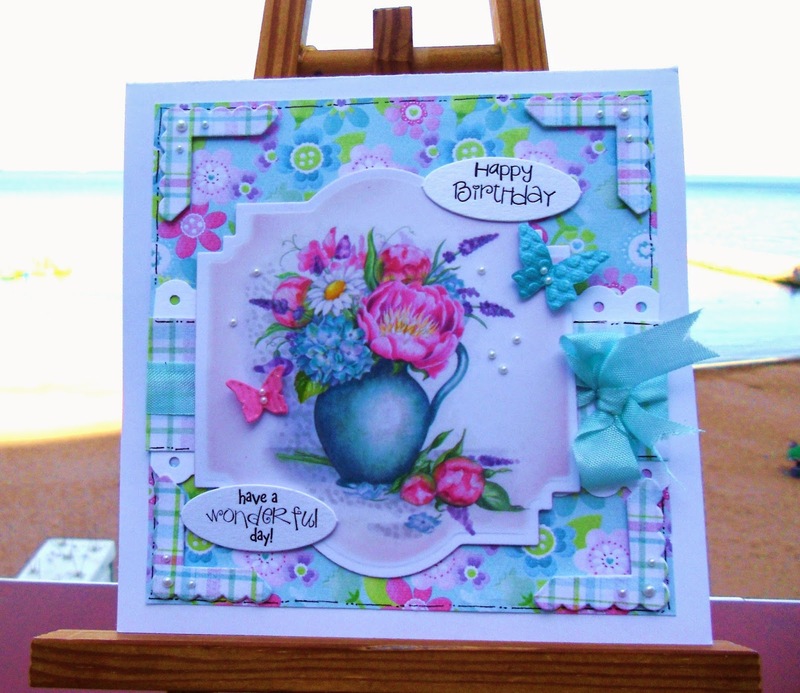 Such a lovely bright card Sylvie - love the sponging around the edge of the topper. So pretty.